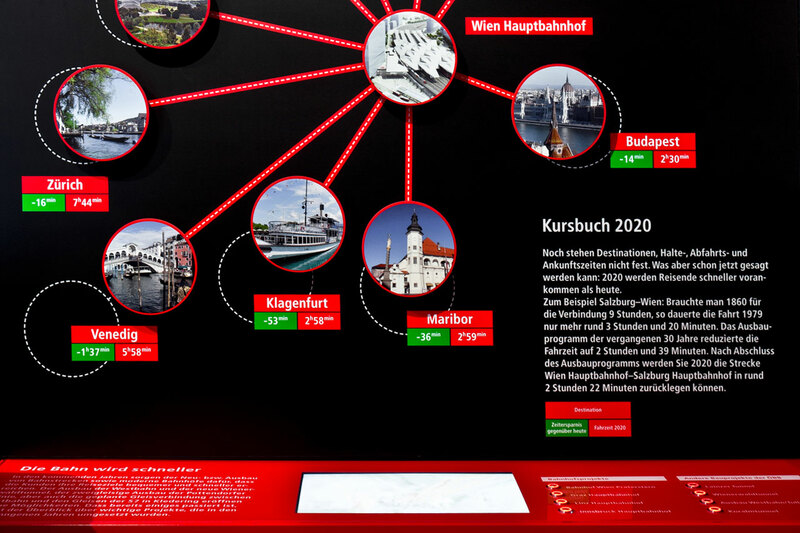 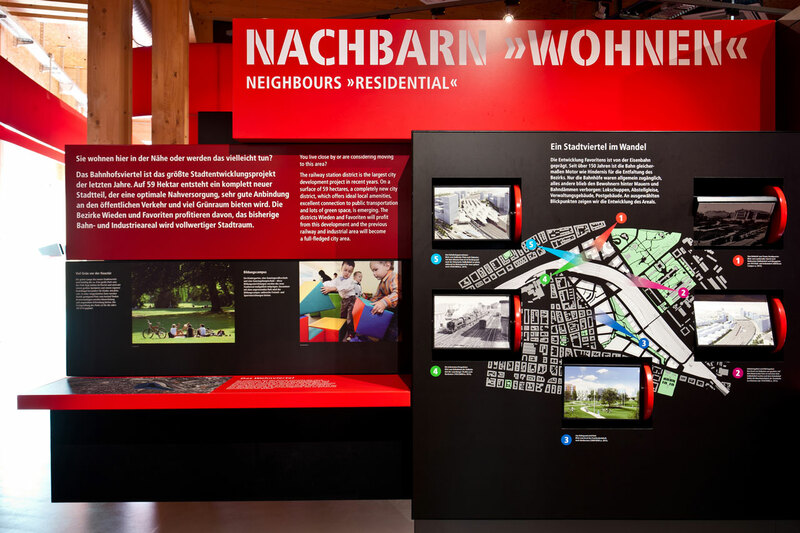 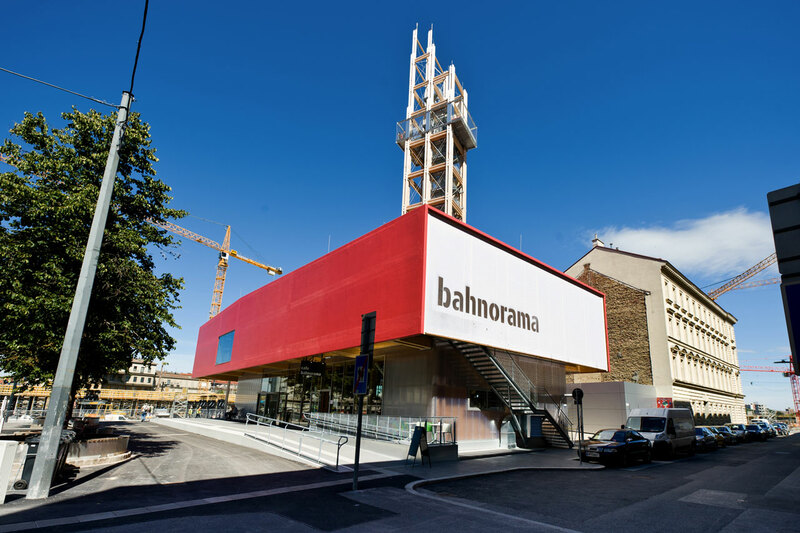 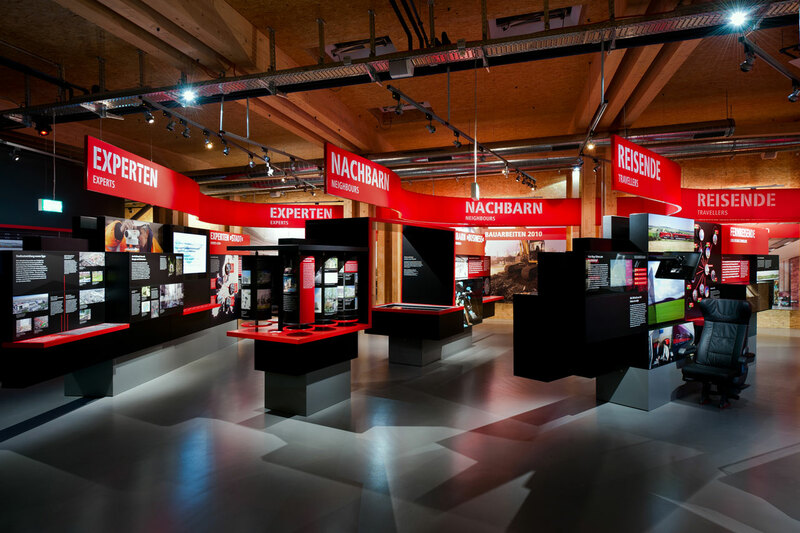 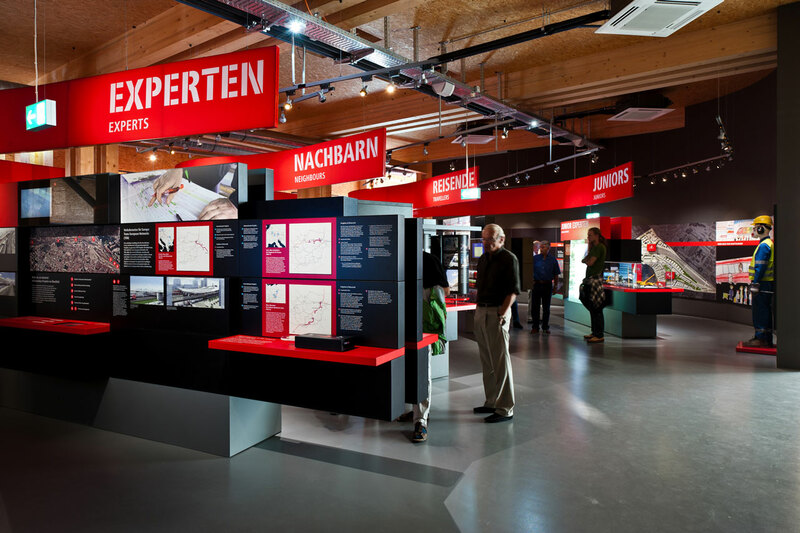 bahnorama is the visitor’s centre and exhibition all about the construction of Vienna Main Railway Station. 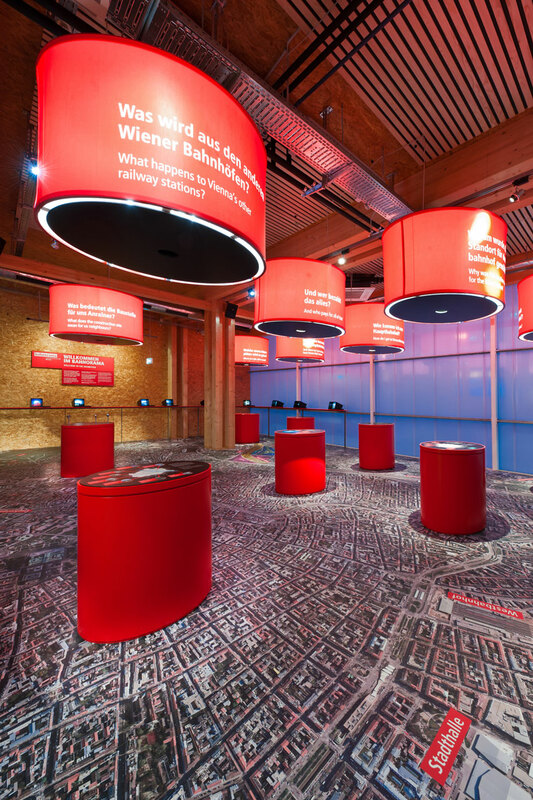 Here, over a period of five years, all questions about Vienna’s largest building site is being answered, the construction progress is being documented and impressions are being conveyed of how the station will look like. 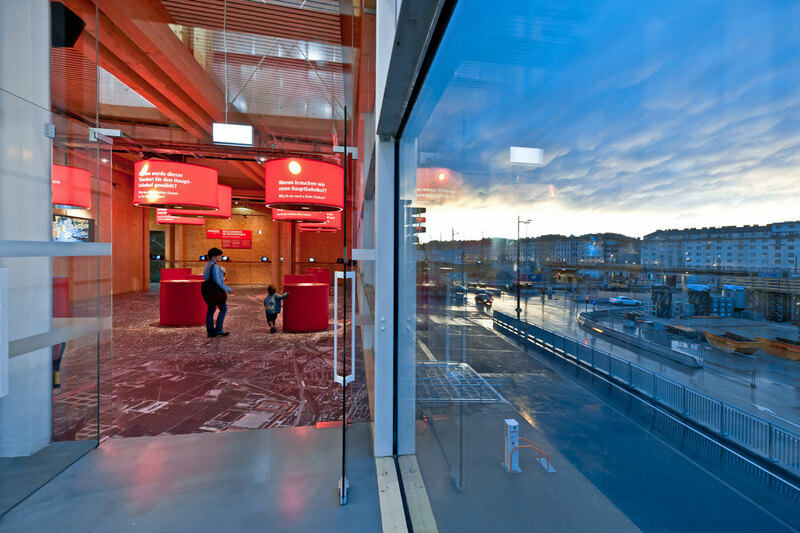 The transition between the two main exhibition rooms is made up of hanging ceiling tracks that lead the visitor to four platforms – one for each user group segment (Juniors, Travellers, Neighbours, Experts). 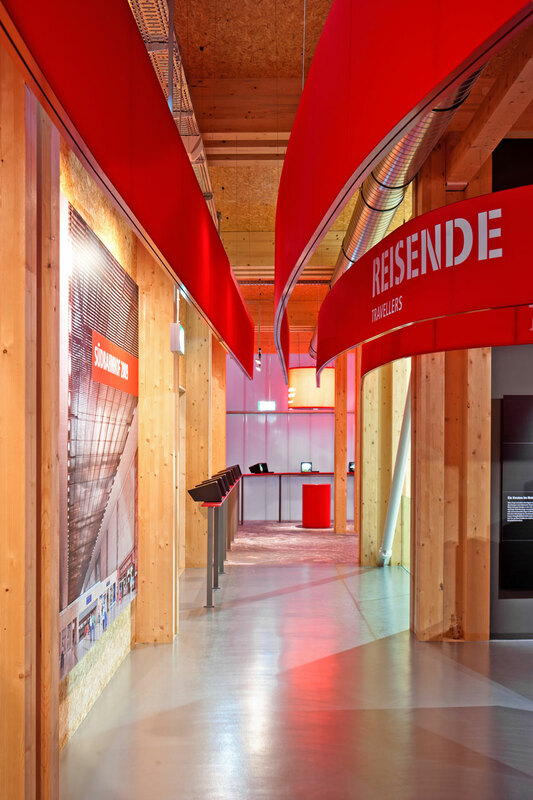 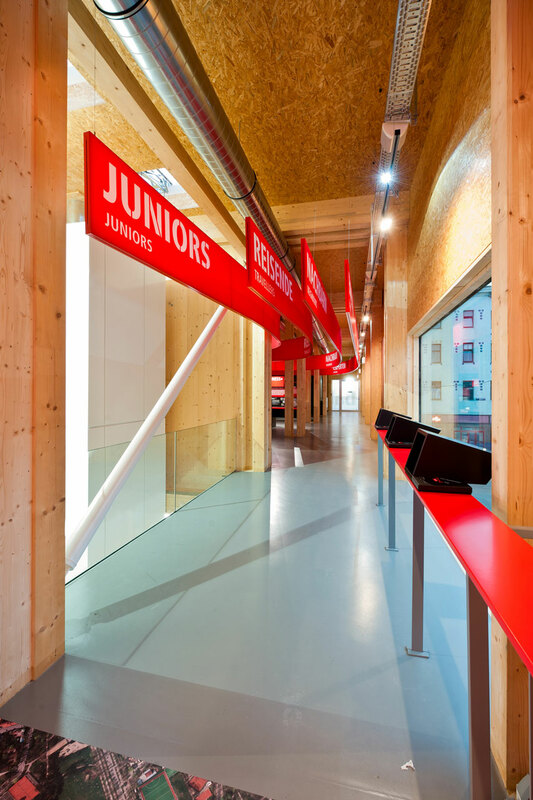 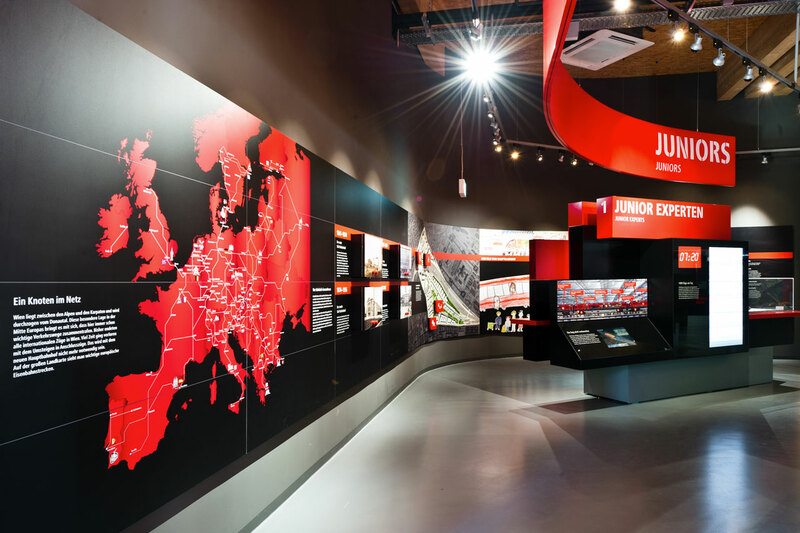 The design of the exhibitions walls follows a modular system with various presentation levels that allow the content to be structured spatially.